It’s probably no surprise to anyone who has visited Niseko and seen how busy the bars are at any given evening to know that New Year’s Eve is a time for some serious celebration! What may be surprising is that New Years is a very special time to Japanese people, just as Christmas is to people from western cultures, with many people travelling to spend time with their family. It’s not all about the bars though (though we have a list of some of the events that are happening here), there are family friendly events occurring in town, too. We’ve compiled a short list to help you plan. 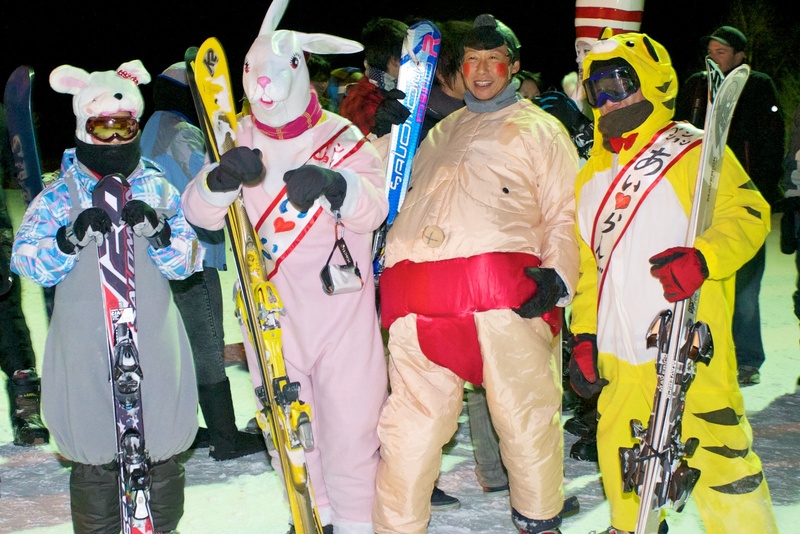 The three resorts with night-time operation, Niseko Annupuri, Niseko Village and Grand Hirafu, are having events on New Year’s Eve to celebrate. Like any outdoor event, it is all weather dependent and may be cancelled for bad weather. Niseko Annupuri has free night-time chairlifts running from 8:30PM until 11:15PM. 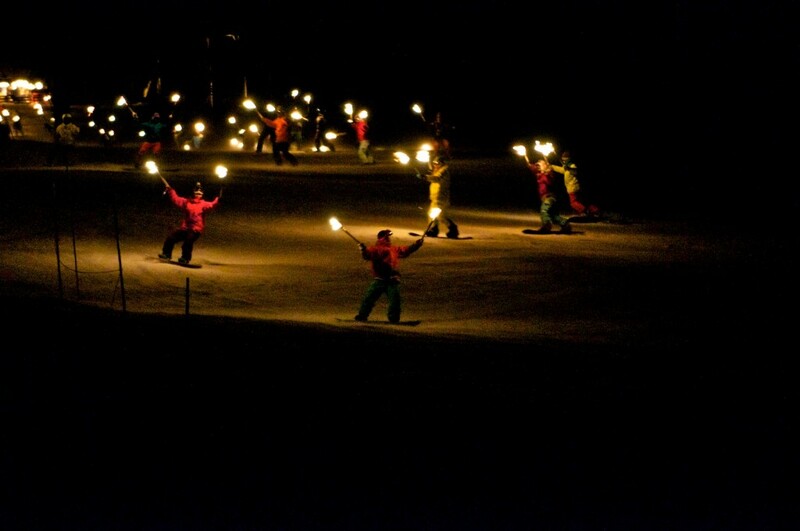 Niseko Village has several events, including a free co-ordinated torch (flare) run for the first 60 applicants. It’s quite a sight to see such a large group of riders, all with bright lights travelling down a ski slope, so even if you don’t get in early enough to reserve a spot, you haven’t missed out. 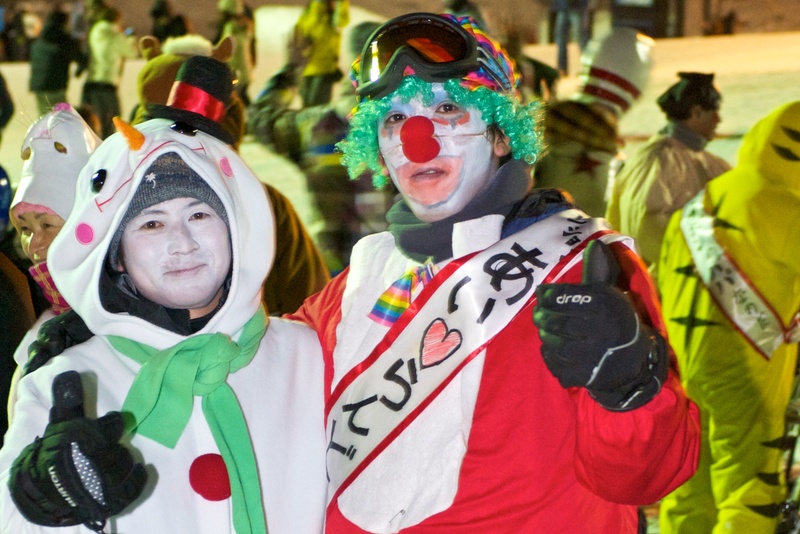 The group is gathering from 7:40PM and departing at 8:15PM at the Ski Slopes at Niseko Green Leaf. Niseko Village also has two sets of fireworks planned, one at a family friendly time of 8:45PM at the Niseko Green Leaf, which is just after the torch run is finished. 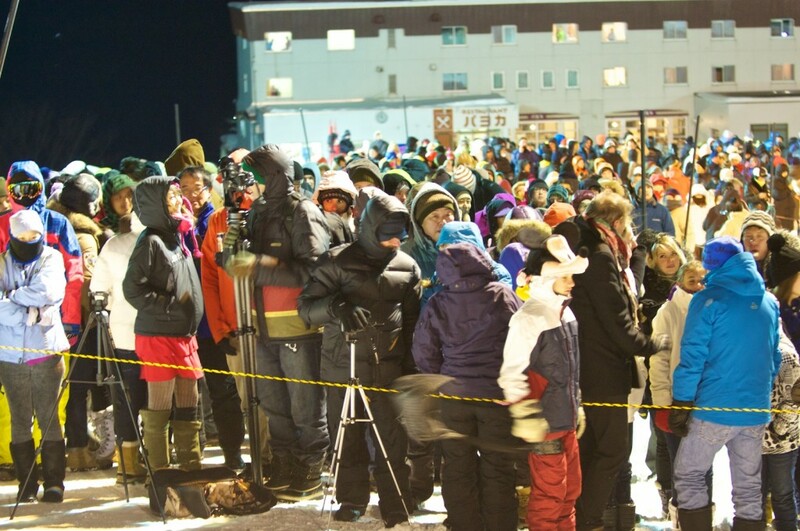 The second set of fireworks will be unleashed at the stroke of midnight at Hilton Niseko Village. Not to be outdone, Grand Hirafu also has a torch relay taking place. 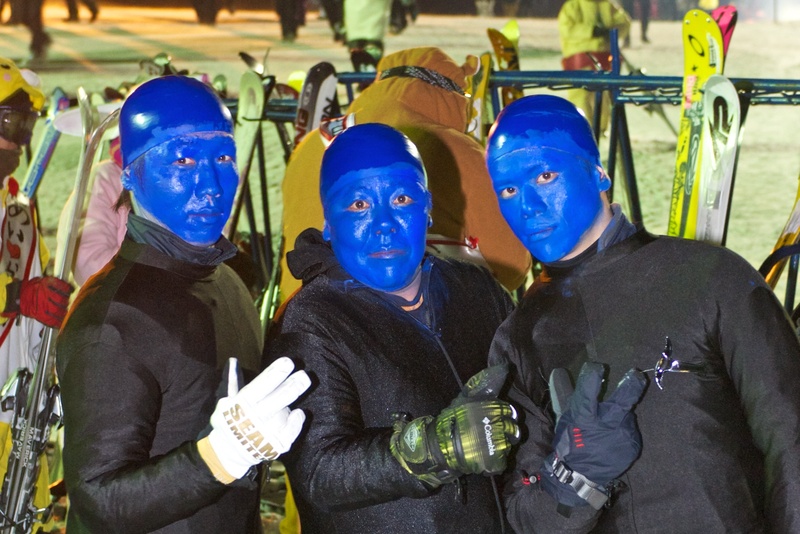 It costs ¥1000 to take part, and spaces are limited to 180 skiers and 70 snowboarders. Reservations can be made at .Base between 1PM to 5PM on 29th to 31st of December. The riders will make their way down the Kogen course in a loosely co-ordinated fashion. Grand Hirafu is also having fireworks to ring in the New Year. The base of the Kogen course is a good location to view them from. It is a Japanese tradition to view the sunrise on the first day of the year, so to cater for that tradition, Niseko Village is running their gondola to allow those keen souls to see it from high up the side of the mountain. Tickets cost ¥1000 (¥500 child) and ticket gates open from 6:15AM, with the gondola operating from 6:30AM until 7:30AM. Sadly, you will have to catch the gondola back down once you have finished (no skis or snowboards). Another popular Japanese tradition is making mochi, which is a delicious Japanese rice cake. Cooked rice is pounded with a giant wooden mallet until it is a soft gelatinous substance. It is a fun experience if you’re looking for something a little bit more cultural from your visit to Niseko. It is taking place at 2PM in front of the Alpen Hotel.